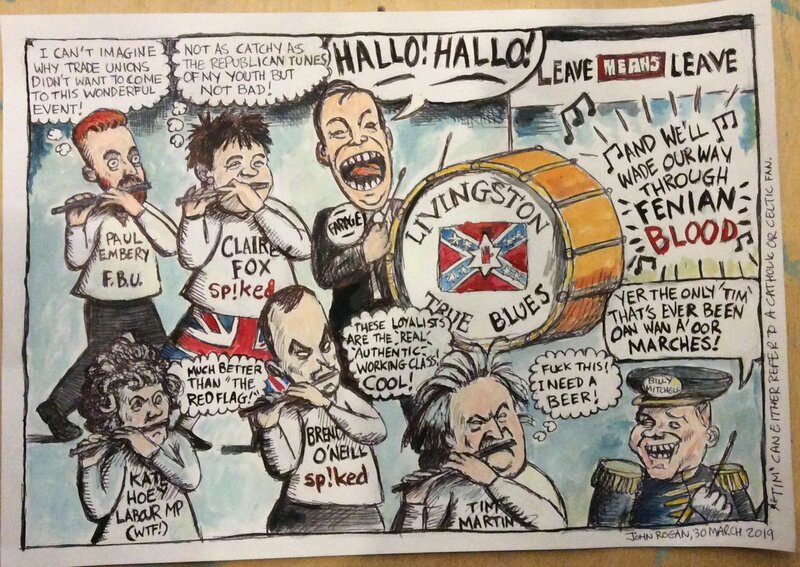 Leave Means Leave National Populist Spring Fête : Cartoon by John Rogan. Populism is a struggle for democracy: John Holbrook Spiked, on Roger Eatwell and Matthew Goodwin’s National Populism: The Revolt Against Liberal Democracy (2019). It’s time for a radical populism. Brendan O’Neill. Labour does not speak for ordinary people. Others must. It should be clear to everyone that Labour does not speak for working people, and nor does it aspire to. This party is now the property of an emerging new establishment; of a political set defined by ‘wokeness’ rather than class, by PC rather than populism, and by a belief that clever, ‘aware’ people who become members of Labour deserve a greater democratic say, but those people out there do not. We need a new radical populism. A populism that takes both people and ideas seriously. A new politics that is open and also intellectual. A new approach to public life which breathes life back into the radical idea that ordinary people are if anything better than cut-off elites at making wise decisions for the benefit of communities and the country. This new politics will not come from Labour or the Tories. So others will have to tease it out, develop it, and give it some kind of shape. That’s what spiked plans to do. Join us for this debate in the months ahead in our new-look magazine. Frank Furedi. Former leader of the Revolutionary Communist Party, now Spiked Guru. In the West in 2018, we witnessed the intensification of a new conflict – that between anti-populist political elites and a growing grassroots movement that is hostile to these elites. Whether the positive, democratic potential in the new populism can be developed further remains an open question. As the protests in France show, people are searching for a language through which they might express their very 21st-century form of solidarity. But they seem to lack the intellectual resources and leadership necessary to give their aspirations clarity. In the UK, millions feel empowered by the vote for Brexit. But none of the political parties represents their interests; the pro-Brexit majority is bereft of an institution that might enforce its ideals. Democracy’s shadow. Matthew Goodwin. Spiked.August 2018. Brexit in particular was not just a formal request for Britain to leave the EU. It was the politics of faith rubbing up against the politics of scepticism; an attempt to correct an imbalance in a nation that had become more interested in big business, cities, social liberals and middle-class graduates at the expense of workers, conservatives, rural communities and towns. This should not prevent us from calling out instances of racism or xenophobia that often come with the politics of faith. But it is also true that many of those who flock to populism do not hold such views and are instead pursuing radical political change in the hope of nudging the dial away from the politics of scepticism and back toward the politics of faith and salvation, however they might define it. By obsessing over what happened during the campaign, we are losing sight of a deeper tension that is at work and losing an opportunity to reflect seriously on where politics as scepticism has gone wrong. Verso author, New Left Review and Jacobin contributor, Wolfgang Streeck, supporter of the German ‘left’ populists Aufstehen, joins the National Populists. Spiked 29th of March 2019. ..the left-liberal ideal of internationalism has been hijacked by neoliberal anti-statism, and international solidarity is identified with free markets. This is purely ideological, and it doesn’t speak well for the political acuity of the left middle-class that it bought the ‘Third Way’ version of international peace and friendship. To me, there is no left in Europe and the United States that is more demoralised and defeatist than the pro-EU left in the UK. The British pro-EU left has, for fear of Thatcher and her current and future acolytes, sold its anti-capitalist birthright for the thin gruel of a European minimum entitlement to a few days of parental leave. For a Left Populism. Chantal Mouffe. Review: “Neither Left nor Successful”. Left Populism, “Neither Left nor Successful”. 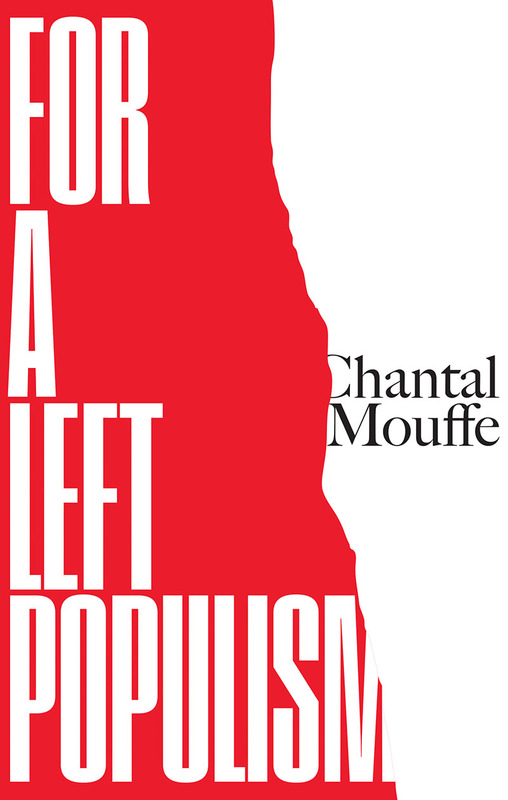 Chantal Mouffe and her partner Ernesto Laclau published Hegemony and Socialist Strategy in 1985 She begins For a Left Populism on the “challenge represented by the ‘populist moment’ by referring to the “incapacity of left politics” during the 1980s to grapple with post-68 movements, from the women’s movement to ecology. Anything that could not be thought of in class terms had been rejected. They offered, she states, an alternative, which became associated with the monthly, Marxism Today, against this “class essentialism”. It focused on bringing these new social forces into a left project, the “radicalisation of democracy”. There were angry debates on the left about these claims, focused around the authors’ ‘post-Marxism’ and the importance of class in left politics. The world has changed. Today Mouffe argues that neoliberalism, austerity, and “oligarchisation”, has brought down living standards and eroded popular sovereignty. The political system is hollowed out. It is “post-democracy”, a term she takes from Colin Crouch and Jacques Rancière (La Mésentente. 1997). A paradigm of ‘consensus’ around the value of the free-market marks Western societies. There is little more detail about what is ‘post’ democratic in the new millennium’s elections, political competition for government and the possibilities for public debate opened up by social media. How this differs from the previous consensus around the Keynesian welfare state, known in Britain during the 1950s as ‘Butskellism’, is not explored. The thrust is that social democratic and Labour Parties, notably during Tony Blair and Gordon Brown’s premierships, accepted the legacy of Margaret Thatcher. As part of this ‘hegemonic’ package they put concern for the Taxpayer over generous public spending. New Labour agreed that privatisation of state functions and industries were “what works”. They aimed at competing on the global market. .
After the 2007 financial crisis people across Europe began to question the belief that these policies brought them any benefit. Those “left behind” by austerity in the wake of the baking crisis and globalised economies, demanded “democratic recognition”. Many Mouffe says, have turned to anti-establishment populist parties of the right, or have expressed their unhappiness through backing the Hard-Right project of Brexit in the UK European Referendum. Since For a Left Populism was published Mélenchon’s Movement has stagnated and declined in polls, down below 10% of voting intentions for the coming European Elections. It has faced a series of internal crises, centring on the lack of democratic decision-making. Marine le Pen appears to have had more of an impact in the Gilets Jaunes uprising than the leader of La France insoumise. After poor regional election results in Andalusia and declining support Podemos, has suffered a serious split. Her interlocutor, Iñigo Errejón (Podemos, In the Name of the People. Iñigo Errejón. Chantal Mouffe. 2016) is now aligned with Más Madrid, a catch-all progressive alliance. Pablo Iglesias is said to project a long-term alliance with the Spanish socialists, the PSOE. The radical left “Anticapitalista” current is in outright opposition. See also: Left-wing populism.A legacy of defeat: Interview with Éric Fassin Radical Philosophy. 2018. For an overview of Mouffe and Fassin see Jacobin, Can There Be a Left Populism?Jacob Hamburger. There is much to say on the intellectual structure of the ‘affects’ argument, and the abstract account by Mouffe construction of the ‘people’ in a counter-hegemonic direction through relations of equivalence which he does not. Hamburger however makes the valdi points that ‘left populism’ is hard to pin down as one thing (the gulf between Sanders and Corbyn alone is immense, and Podemos and La France insoumise) but fails to deal with anything like the different party structures. One can also see that the “degree of porosity between left and right” is politically fraught with dangers, as, even if minority, Gilets Jaunes red-brown cross-overs indicate. One would also prefer an account which focuses on sovereigntism, national independence as a rampart against neoliberalism, something Jacobin writers have themselves embroidered into a ‘left populism’. A recent book on Corbynism by Frederick Harry Pitts and Matt Bolton argues that its key components lie in “seeing the world as constituted essentially of nations” and “posing the nation against global and international capital”. But, the authors point out, the search for sovereignty is destined to fail, not least because “we live in a world structured by capital, a social relation which exists as a world market, from which single states cannot abdicate, no matter how hard they try”. 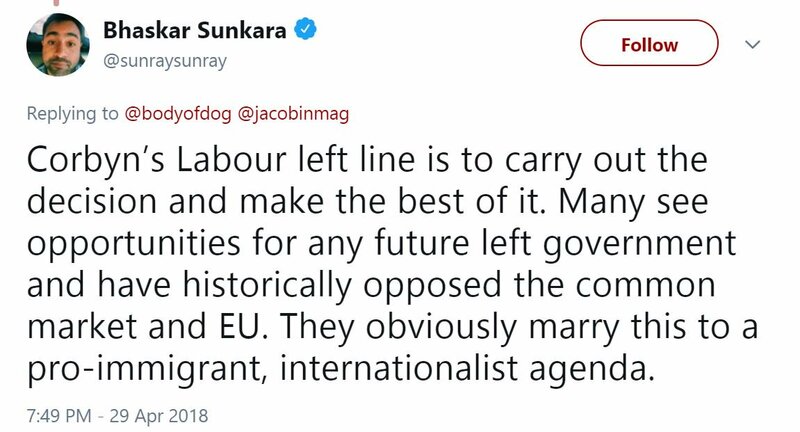 Not only is this emerging aspect of Corbynism pitting itself against the tide of history, but it also produces political rhetoric that shares territory with the nativist Brexiteer right wing. In casting the ‘national community’ as the primary community for whom the left speaks, and in describing not only global flows of capital but also of people as threat to this primary community, the left has clearly contributed to racist othering of migrant workers. Which is why some of Corbyn’s speeches on Europe have drawn praise from the likes of Nigel Farage. Corbynism’s emerging left nationalism is treading the same path as parts of the French and German left. As far back as 2016 Sahra Wagenknecht of Die Linke challenged Chancellor Angela Merkel’s decision to accept more than one million refugees, calling for limits on entry. In an environment where the far right is stoking fears about ‘violent’ immigrants with fake news and conspiracy theories, Wagenknecht has called for the deportation of any refugees who ‘abuse’ German hospitality: a call in complete contravention of the UN 1951 Refugee Convention, and one that drew praise from the far right Alternative für Deutschland. The Brexit Left and the Legacy of the 1970s Alternative Economic Strategy. A High-Point of the AES years. Is Labour moving in the national populist direction outlined, either positively by left theorists Mitchell and Fazi or negatively, by Bolton and Pitts? There is little sign of rage against “the moral failings of the international financial elite,” when we get down to the details of plans for an overhaul of taxation to increase revenues within a more equitable system. Nor are pondered proposals for “new models of ownership” a sweeping attempt on behalf of society to assert “social self-protection”. Indeed if anything Labour has been too cautious to offer a worked out reform of the Universal Credit system. They have preferred to float improbable limited experiments for a Basic Income – at least a more equitable idea than MNT’s “job guarantee programme” which leaves many more questions open – rather than a wholesale reform of social security. The Rise of the Alternative Economic Strategy. The Alternative Economic Strategy (AES) can be said to have originated in Labour policies developed after the 1970 election defeat, reflected in the 1974 election Manifesto. Elected in 1974 the Labour Party faced an economic crisis with a radical programme, including plans to nationalise 25 leading companies and the creation of the National Enterprise Board committed to “extending public ownership into profitable areas of manufacturing industry” and “industrial democracy”. The left, with Tony Benn as Minister of Industry, Eric Heffer as his Minister of State, and Michael Meacher as his Under-Secretary, and advisers, Francis Cripps, Stuart Holland Frances Morell as advisers, had a strong, though not decisive, presence. Harold Wilson ignored proposals to bring companies into public ownership. After Britain voted to continue to be part of the European Economic Community in 1975, which the left had opposed, they lost their toehold in the Cabinet. The age of ‘Bennery’, best remembered as support for workers’ co-operatives Triumph Motorcycles, KME and the Scottish Daily News, to replace failing companies, had ended. Industrial strategy elements, such as the National Enterprise Board (NEB) and “voluntary planning agreements” floated around in limbo until Labour lost power in 1979. Famously Labour, faced with pressure on public expenditure, presented as severely as possible by Treasury forecasts, and the failures of income policies, gave in to a variety of interests demanding austerity. The swingeing cuts in state spending culminated in agreement to terms for an IMF loan, in 1976, which is considered the start of a shift from Keynesian economics to Monetarism. It is not only historians who have poured cold water over the prospects of the AES. “It is simply not possible to make a mixed economy work in a socialist way.” wrote David Coates in 1981, “while the size of the private sector remains large and in the control of a class that is hostile to Labour radicalism, and at a time when the development of class forces has already produced serious problems of profit realisation and capital accumulation.” In other words, Britain was capitalist and had a capitalist state. Crisis, the Labour Movement and the Alternative Economic Strategy. London CSE Group. Capital and Class No 8. Summer. 1979. What Is Needed Is A Progressive Vision Of National Sovereignty. Thomas Fazi. Social Europe. 19th of May 2017. Page 4. The English Constitution. Walter Bagehot. Oxford University Press. World’s Classics. 1928. Chantal Mouffe. For a Left Populism. Verso. 2018. Reclaiming the State. A Progressive Vision of Sovereignty for a Post-Neoliberal World William Mitchell and Thomas Fazi Pluto Press. 2017. The Return of the Repressed. Wolfgang Streeck. New Left Review. 104/2. 2017. William Mitchell and Thomas Fazi Op cit. The authors claim to be on the radical left. Their use of Polanyi draws on Blue Labour’s Maurice Glasman see: The Great Deformation Maurice Glasman. New Left Review. No 205/1, 1994. Page 54. Corbynism: a critical approach. Matt Bolton. Frederick Harry Pitts.Emerald Publishing 2018. Cited in, Pete Green Is Labour’s economic policy really neoliberal? Open Democracy. 14th August 2018. See the various plans for finance and macroeconomics in The Corbyn Project. Robin Blackburn. New Left Review, 2018. 111/2. THE LEFT AGAINST BREXIT – AN INTERNATIONALIST CASE FOR EUROPE. : Britain should leave the EU on WTO terms’, Communists propose.Page 145.A Party with Socialists in it. A History of the Labour left. Simon Hannah. Pluto. 2018. Pages 57 and 59. The Retreat of Social Democracy. John Callaghan. Manchester University Press. 2000. See also: Chapter 5. The End of Parliamentary Socialism. Leo Panitch & Colin Leys. Verso. 1997. Page 32. Strategy for Socialism. Stuart Holland. Spokesman. 1975. Page 59 John Callaghan op cit. Crisis, the Labour Movement and the Alternative Economic Strategy, London, CSE Group. Capital and Class No 8. 1979. Pages 156 – 157 Socialism and Parliamentary Democracy Geoff Hodgson. Spokesman 1977. Geoff Hodgson. Britain’s crisis and the road to international socialism: a reply to Jonathan Bearman. 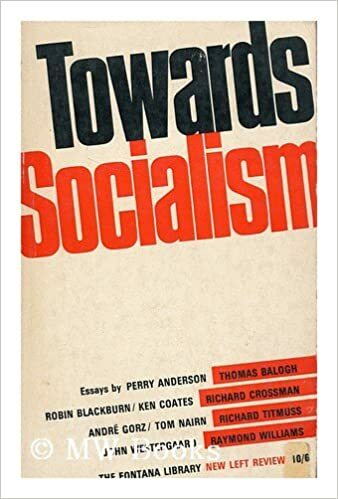 International Socialism, 2/7 1980. On a Socialist Social Contract see: Out of the Ghetto. Mike Prior and Dave Purdy. Spokesman. 1979. Bob Rowthorn. The Alternative Economic Strategy.International Socialism. Spring 1980. Bob Rowthorn The Politics of the Alternative Economic Strategy Marxism Today. January 1981.The Eclipse of Politics: the Alternative Economic Strategy as a Socialist Strategy. Donald Swartz. Capital and Class. No 13. 1981. See The Impasse of Social Democratic Politics. Leo Panitch. Socialist Register. 1985/86. Merlin. Page 244 Stuart Holland. Capital, Labour and the State. In: What Went Wrong, Explaining the Fall of the Labour Government, Edited by Ken Coates. Spokesman, 1979. Pages 90 to 91. Tony Benn. Interview with Eric Hobsbawm. In The Forward March of Labour Halted? Eric Hobsbawm. Verso. 1981. Page 9. Pages 96 and 157 – 8. State Intervention in Industry. A Workers’ Inquiry. Coventry, Liverpool. 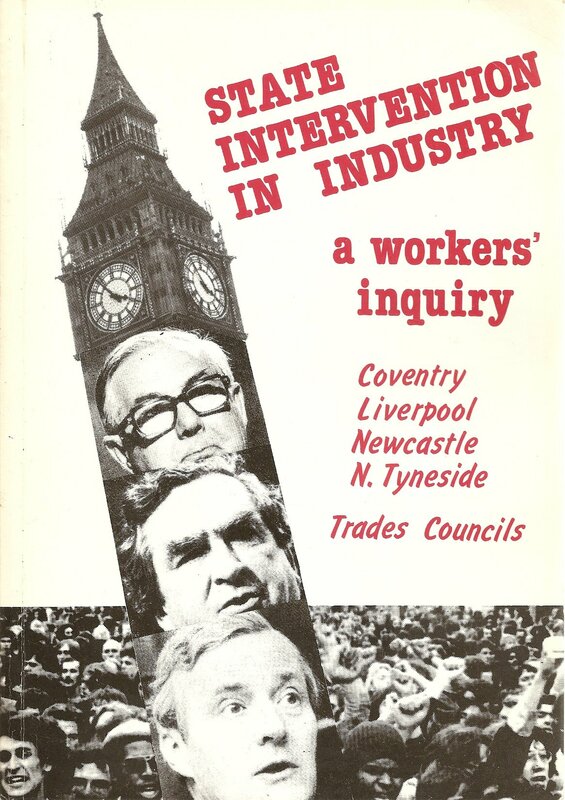 Newcastle N. Tyneside Trades Councils. 1980. Russell. Andrew Glyn. Capitalist Crisis: Tribune’s ‘Alternative Strategy’or Socialist Plan. Militant Pamphlet, 1979. Stuart Holland said in 2017. “One of the main claims about my proposals in the 1970s was the allegation that I wanted civil servants to run industry. I didn’t and I don’t. They’re not qualified, not up to it. You need professional managers (my emphasis) in holding companies with a strategic remit from the government. I made that argument in shaping the case for the National Enterprise Board, submitting that the NEBshould have such a remit for six main roles, including regional development, gaining direct information on the cost and profit structures of big business, using this to counter transfer pricing by multinational companies, locating more R&D in the UK, as well as long-term innovating investment not influenced by the short termism of stock markets.” Martin O’Neill, Stuart Holland Hope amidst despair?Renewal. Col 25. 34. Socialism: Utopian and Scientific Friedrich Engels. Various Editions. Page 525. One Hundred Years of Socialism. Donald Sassoon. Fontana Press. 1996. Labourism and the Transition to Socialism. David Coates. New Left Review. 1/129. 1981. The New Communist Economics. Stuart Holland. In Eurocommunism. Myth or Reality?Paolo Filo della Torre, Edward Mortimer, Jonathan Story, Penguin 1979. Paul Auerbach. The Left Intellectual Opposition in Britain 1945 – 2000: the Case of the Alternative Economic Strategy. Socialist History Society Conference. September 26-7 2003. Francis Cripps. The British Crisis—Can the Left Win? New Left Review 128/1 1981. Page 170. The End of Parliamentary Socialism. Leo Panitch & Colin Leys. Verso. 1997. Pages 215 – 6. Andrew Glyn and Bob Sutcliffe British Capitalism, Workers and the Profits Squeeze . Penguin. 1972. Page 539. The New Old World. Perry Anderson. Verso. 2009. Martin O’Neill, Stuart Holland Hope amidst despair? Renewal. Col 25. 34. Why the Left Should Embrace Brexit. Thomas Fazi and William Mitchell. Jacobin. 29.4. 2018. The Internationalist case against the European Union. Alex Callinicos. International Socialism No 148. 2015. Open UK to US Gammon says US Jacobin. The “leading voice of the American left” has not published a single article opposing Brexit. This, despite the fact that opposing Brexit is the majority view of Labour Party members, and a substantial part of the left, including much of the most radical wing. Brexit is a hard right Tory project – the only way to resist it is from the left. No doubt the last sentence was proved by the way Corbyn and his leadership team had to be dragged kicking and screaming to take a pro-immigration stand this week in parliament. Monday’s events were a wakeup call for many Labour activists, writes @AnaOpp. With Brexit threatening to raise borders and the far right determined to use it to boost nationalist sentiments, the left can't concede any ground on immigration. Labour's u-turn on the #ImmigrationBill showed that grassroots pressure can work. The chap appears to have never heard of Another Europe is Possible (above) – though one suspects that at least one of minions has a sad personal story, located in the mists of time, to tell him about his own relations with one of the groups backing it. Now we have this essay. Even for the Gammon left it is piss-poor. Leave the EU Already Alex Gourevitch. The European Union is one of the chief enemies of democracy in the world today. Britain should leave it, with or without a Brexit deal. The European Union is one of the chief enemies of democratic politics, and therefore the mass of people, in the world today. Its central purpose is to constrain popular sovereignty through an executive-heavy, often-secretive complex of organizations. It has no fewer than five presidents; makes key decisions behind closed doors, with no recorded minutes; has a parliament that is its weakest branch; and renders amending its basic constitutional features nearly impossible. Not only does the EU rank with enemies of democracy like Putin’s Russia, Sudan’s Omar al-Bashir, Iran’s Ali Khamenei, Bashar Hafez al-Assad (halting there for the moment) but it has bleeding 5 (count ’em) 5 Presidents! National politicians created the EU institutions in a bid to avoid the rough-and-tumble of democratic representation, turning Europe’s nation-states into member-states. These member-states retain the worst, coercive elements of statehood while reducing the influence of the democratic element, allowing elected officials to avoid accountability by retreating into supranational and intergovernmental institutions. As a result, the historian of Republican Liberty spots the reason why the Brexit side won a slim majority in the Referendum. The vote in favor of leaving the EU is therefore a product of longstanding popular frustration at the sense that politics is out of the electorate’s control and that elites have little to offer but ruses to avoid being held to account. Most people, if they have persisted so far, will not be astonished to find that the crack political scientist can see clearly that democratic “popular sovereignty” is at stake. Yet there is still enormous resistance to doing the democratic thing and actually leaving the EU. Democrats always bow to popular sovereignty: they never contest the Will and the Voice of the people as she is spoke. Unlike that them there “chief enemy of democracy in the world” – the EU. the lure of the second referendum. They are hoping to be let off the hook by engaging in what has practically become a Brechtian tradition of EU politics. No, he is not talking abut The Resistible Rise of Arturo Ui Boris-Johnson-Rees-Mogg-Nigel-Farrage. * Alex Gourevitch is an associate professor of political science at Brown University and the author of From Slavery To the Cooperative Commonwealth: Labor and Republican Liberty in the Nineteenth Century . Mélenchon and la France insoumise in Free-fall. Looking Further from the Gates of Power than Ever. Virtue is the faculty to be able to properly line up the principles that you apply in your life with those that you would like to see applied to the greatest number of others to the benefit of all. Out with Class Based Parties! It was hard not to be reminded of this vision when listening to the radio station, Europe 1 this morning. The news began with the results of an opinion poll which put LFI’s list for the 2019 European elections in free-fall, down to 11% (drop of 3%) three and a half points above the Parti Socialiste (7,5%if Ségolène Royal lead their list, otherwise 6%) Its follows surveys which indicated that, after his public exhibition of petulant rage over an investigation into the Movement’s finances, Mélenchon himself has lost 7 points in personal popularity though some polls put the loss higher at a drop in 15% amongst those who voted for him in the Presidential elections (Jean-Luc Mélenchon dégringole de 7 points). Marine Le Pen’s Rassemblement national (ex-Front National) meanwhile is scoring the same, around 20%, as La République en Marche of Emmanuel Macron. The coup de grâce came with an interview with Mélanie Delattre et Clément Fayol, the authors of a book, to be published this week, on Mélenchon and La France insoumise. Mélenchon : Aux portes du pouvoir.This attempts to unravel “le système Mélenchon” It began with a description of LFI as a “business” (Chef d’entreprise et anticapitaliste), and its Leader’s considerable personal fortune. The canny homme d’affaires prefers, they allege, to squirrel away money in a variety of companies rather than reward his long suffering staff. We were then treated to a sketch of its internal ‘operations’, tightly controlled by those in the ‘club’ around the leadership. Next, the authors asserted, far from being a ‘new type of open to all, a” participative” structure, it is ruled by ‘Trotskyist’ organisational practice – that it a very special kind of ‘Trotskyism’, the Lambertist centralist type which brooks no opposition. They managed to suggest that his screaming and foot stamping against those officials and police agents trying to investigate some of the secrets of this “business” was a premeditated piece of theatre. In short, the accusation is that Mélenchon has retained the political practice of his youth inside one of the most sectarian narrow-minded nationalist (both of its two existing splinters advocate Frexit) French left currents. To their credit after his tantrum and disrespect for republican legality the French freemasons have suspended Mélenchon and some have asked for his expulsion (Des francs-maçons veulent éjecter Jean-Luc Mélenchon du Grand Orient à cause de son attitude lors des perquisitions). Where does this leave La France insoumise? Many people have the impression that their intellectual support was from the kind of academic or student who, had they been born at the time, would have admired Péguy. That is, a kind of faith in the capacity of socialism to effect a cultural and spiritual renewal beyond sordid (‘post-democratic’) politics. One can see them warming to the nationalist exaltation of Le Mystère de la Charité de Jean d’Arc (1908) It is to be doubted if they would have belched at the author’s railing at “bourgeois cosmopolitanism” and hatred of Jaurès’ Teutonic socialism. (7) The might well have had a sneaking admiration for the Camelots du roi, armed with lead-weighted canes against rootless youpins. If few would accuse Mélenchon of anti-semitism, LFI, we are informed is none too fond of George Soros, and as for Germans…. 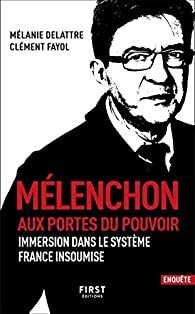 Mélenchon aux portes du pouvoir, published at the end of the week, looks set for the leftist must-read list…. Page 115. Charles Péguy. Notre jeunesse. Folio Essais. Gallimard. 1993. Pages 22 – 23. Chantal Mouffe. For a Left Populism. Verso. 2018. Le Peuple et son conflit. Pages 142 – 147. Jean-Luc Mélenchon L’ère du Peuple. Pluriel. 2017 (new edition). Le Peuple et son mouvement. Pages 148 – 156. Op cit. This is how he described the German influence on the politics of Jean Jaurès: “une sorte de vague cosmopolitisme bourgeois vicieux et d’autre part et très particulièrement et très proprement un pangermanisme, un total asservissement à la politique allemande, au capitalisme allemand, à l’impérialisme allemand, au militarisme allemand, au colonialisme allemand.”(P 1259) .Charles Péguy: Oeuvres en Prose. 1909 – 1914. Tome ll. Bibliothèque de la Pléiade. Avant-proposes et notes. Marcel Péguy. 1961. Sanders and Varoufakis to launch ‘Progressive International’ “Green, Radical Left and……..Liberal”? Nobody could accuse them of lacking ambition! 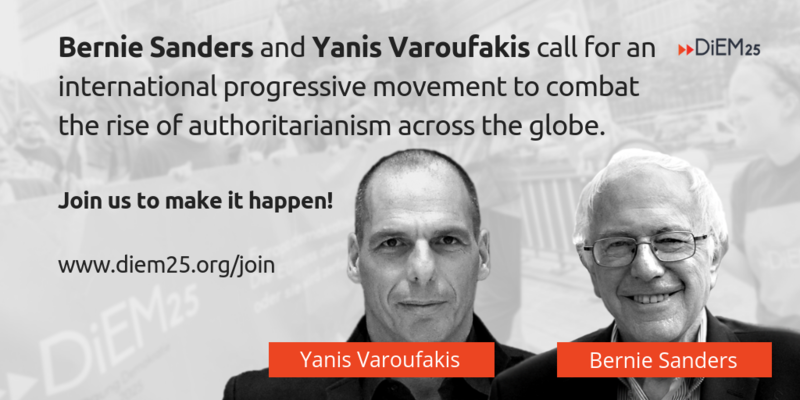 Yanis Varoufakis, former Greek finance minister, and Vermont Senator Bernie Sanders are teaming up to launch a new initiative for common international action by progressives. “The financiers are internationalists. The fascists, the nationalists, the racists — like Trump, Bannon, Seehofer, Salvini — they are internationalists,” Varoufakis said. “They bind together. The only people who are failing are progressives. After arguing in a pair of Guardian op-eds last month that a worldwide progressive movement is needed to counter the unifying rightwing “that sprang out of the cesspool of financialized capitalism,” former Greek Finance Minister Yanis Varoufakis announced in Rome on Friday that he and Sen. Bernie Sanders (I-Vt.) plan to officially launch “Progressives International” in the senator’s state on Nov. 30. Varoufakis told BuzzFeed News that the movement aims to challenge an emerging extremist alliance of nationalist political figures—from immigration critics such as Italian Deputy Prime Minister Matteo Salvini and German Interior Minister Horst Seehofer to President Donald Trump’s ex-White House Chief Strategist Steve Bannon, who is working to garner voter support for rightwing parties ahead of the May 2019 European Parliament elections. As a European Democratic Socialist – and leftist – it is hard to know what the term “progressive” means. In our Continent, the word still has associations with the old Communist Parties and their fellow travellers, often called ‘progressives’. Or, to put it simply, progressive was used to embrace a broad swathe of potential allies. For very obvious reasons this usage is not just out of fashion today, it leaves a bad taste in the mouth. More recently. the right-wing of Labour (Progress) , and Emmanuel Macron, are fond of calling themselves ‘progressives’ . Both of these usages would put off many left-wingers for a start! Yet, apparently in the US ‘progressive’ is linked to the most liberal wing of the Democrat Party. I believe that in its origins in US political thought progressive refers to a broad stream of thinkers, from Transcendentalists such as Ralph Waldo Emerson and Henry David Thoreau, to advanced liberals like John Dewey and, more recently Barack Obama. If it has any meaning the word appears to signify, “support for or advocacy of improvement of society by reform””, which does not get us very fa.Not when just about privatising fiddle in the UK is called a “reform” for the better. Still, ‘reform’ could, at a pinch, be extended with more hopeful connotations, to the left, including Sander’s wing of the Democrats. The European Spring alliance promoted by the Greek former Finance Minister certainly is “progressive” in this sense.That is, if one talks up ‘movement’enough to include self-important commissions and top-heavy public events. But how many on the left, who identify with the various strands of democratic socialism, would wish to be in an alliance with liberals? Or indeed, for all the fact that there is larger constituency who identify with the US Sanders left, or are at least encourage by the fact that it exists, at all, how many would wish to drop their allegiances to parties like the British Labour Party, and the very long list of European left parties, to join up with a movement headed by these two individuals on the strength of a few articles in the Guardian? Assuming that they have read them…..a brief trawl in the French language reveals no trace of this ‘international’ to begin with. The European Spring Alliance, of “democrats of all political persuasions” does not seem to have much of a basis either. Their support, such as they are, include (indeed is limited to) for France Nouvelle Donne. We are informed the party was named after the US ‘new Deal’ (which is not how I would translate a term normally referring to a ‘new fact*), an experience far from the forefront of the French Left’s collective memory. Nouvelle Donne is a classic French political ‘club’, around Pierre Larrouturou. He and his friends have spent a couple of decades on the fringes of the Parti Socialiste (unsuccessfully bidding for influence as a ‘current’) and the French Greens, to mention only a few. It has had two elected figures, David Derouet, who was the Mayor of Fleury-Mérogis until 2017 and Fabienne Grébert, a regional councillor in the Auvergne-Rhône-Alpes. A more serious force, Génération.s, (which claims, optimistically, 60,000 members), one MP, three MEPs and one Senator, was founded by former French Socialist Presidential candidate Benoît Hamon (6.36% of the vote in the first round), also forms part of the DiEM25 sponsored European Spring. That is, after trying for an alliance with the French Greens (EREV) and, and various leftist strands described as “« altereuropéennnes »..At one point Mélenchon offered him negotiations . Two days ago we learnt that Hamon has called his own list of “citizen candidates” outside of the old party machines. He is now negotiating with the centre-left intellectual Raphaël Glucksmann in the tradition of Michel Rocard (he is also the son of the New Philosopher André Glucksman). Génération-s may maintain links with The European Spring (though it is unlikely the presence of Nouvelle Donne is welcome). Facing at least 5 (f not more) other left-wing or green lists in next year’s European elections, very few people give Hamon’s group and allies much of chance of winning seats. Experienced commentators (that is, my good self) predict Hamon is going nowhere. The forces that could be brought together by this new international could include the European Spring. This, at least according to Wikipedia involves such strange bedfellows as the substantial Czech Pirate Party the Danish Green splinter party, Alternativet and a Spanish initiative Actúa which seems largely a discussion and networking group (“un espacio de reflexión, debate cívico e intervención política”) outside the main force of the left, Podemos. Not to mention others…. I’d lay a hefty wager they are not part of the central core of the European left…. Our efforts as a legal team demanding respect for the basic rights of DiEM25 Advisory Panel member Julian Assange have achieved a small victory. Update: * Nouvelle Donne according to my trusty Petit Robert, means the, snappy, ” new hand of cards “.